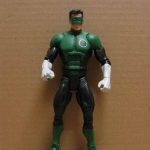 An auction for the upcoming Kyle Rayner figure from the 1st wave of Green Lantern Classics figures has been posted by TARDIS on Taobao. Rayner was the primary Lantern on Earth for a while, taking the place of Hal Jordan. He went on to become Ion, and Mattel is immortalizing him in plastic. This figure can also be preordered at site sponsor BigBadToyStore! I assume GLC is just going to be a sub-line of re-released DCUC stuff in order to build hype to the movie? 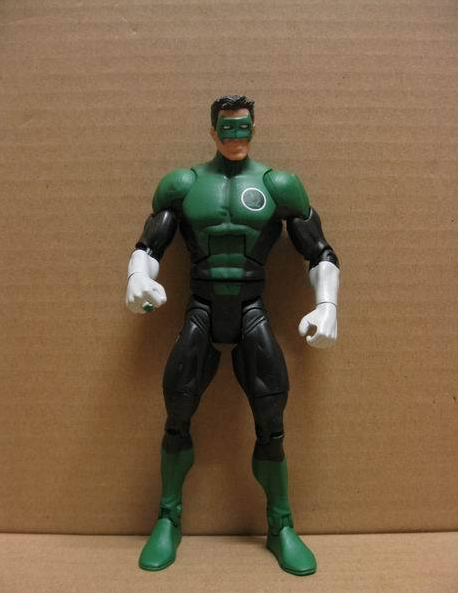 I wish they had made a Kyle Rayner figure with his original GL suit. I'll pick this one up just to have a Kyle Rayner GL, but damn they missed a good oppurtunity. Not re-released, new. 2 waves announced so far. I suspect it's coming eventually, he had that costume for years and that's what most fans recognize him by. I think it's inevitable. Stupid question. Is this line going to hit mass retail? (i.e. TRU, Walmart) Or is it going to be hard to find as DCUC wave 15 where you can only find them online? There have been reported sightings at all three major retailers (Target, TRU, and Wal-Mart) in the last couple weeks. Distribution so far seems to be spotty but may pick up as retailers finish post-Christmas inventories and resets. Also, there will only be two assortments of Green Lantern Classics. Retailers passed on the proposed 3rd wave (though it sounds like some of the figures from it may make it into the DCUC proper line). However Green Lantern Classics will basically be replaced by Green Lantern Movie Masters in the spring/summer. I'll wait until I see him on the pegs. He might be an impulse buy, but right now I'm not feeling it so much. He seems too buff to me, but I know that's because he's using the same buck as almost all of the male DCUC figures. Finally! The 90's Green Lantern! Really excited for this piece! Love the overall sculpt and the detail is supposed to be amazing! What really got into this figure, aside from the fact I am a HUGE fan of Rayner, is that Mattel loaded him with some nice accessories. I mean, not only are we getting a lantern battery, but also a really unique construct! I found it ysterday at the mesquite Texas TRU. Mine was shipped out today! I found the whole of wave #1 at my local TRU and Meijer last Saturday. I hate the distribution here. Apparently Walmart over here is getting rid of the DCUC figures and Target has a crapton of Irons. I sincerely hope I can at least find the lantern of my era, Kyle, some where here in the next two months. And yes I'm a 90's kid. Mullet Supes FTW. Where you at? If I see another one I'll pick it at cost plus whatever ship cost is. PM me or just let me know. I'm in the Bay Area of California and thanks for the offer, man! I'll mull over it. Oh yeah I saw that! Ill get on that soon! Still, thanks for the offer, Jim. Found mine at toys r us today!! !